In the bottle, Richland rum shows like burnt scarlet, the carnelian red color contributed by aging in virgin (first use) American oak. Pulling the natural cork stopper releases a mild caramel and gentle vegetal bouquet. Pour, and the rum positively shines in a proper tasting glass. Thick legs are quick to form and run after swirling. They don’t cling to the glass long, perhaps giving a clue to a lack of (added) sweetness (I hope). Additional aromas follow where the bouquet teased, and all are suspended in balance. Most noticeable is vanilla from the oak barrels, earthy ripe fruit like plum, a hint of very ripe banana, mild tobacco from the toasted oak, and just a tiny bit of coriander spice. This is an elegant rum that rewards careful sniffers. Initial taste returns you to traditional rum flavors that are all but forgotten in our contemporary world of molasses-based rum. The pronounced sugarcane flavor is a real treat, while the grassy character of French rhum agricole vieux is subdued. On the medium weight body you taste a slightly sweet, mildly oaked rum that piques your palate with earthy sugarcane notes and mild spices.The finish starts off-dry, lingers a good while and introducing a bit of anise and dark roast coffee bean. The anise is often representative of rums distilled from sugarcane juice/syrup, the coffee bean flavor is more commonly found in pot distilled reduced sugarcane/molasses rums. The rum ends dryly leaving your tongue to search it’s palate for a wee bit more. “We do not compromise anywhere. 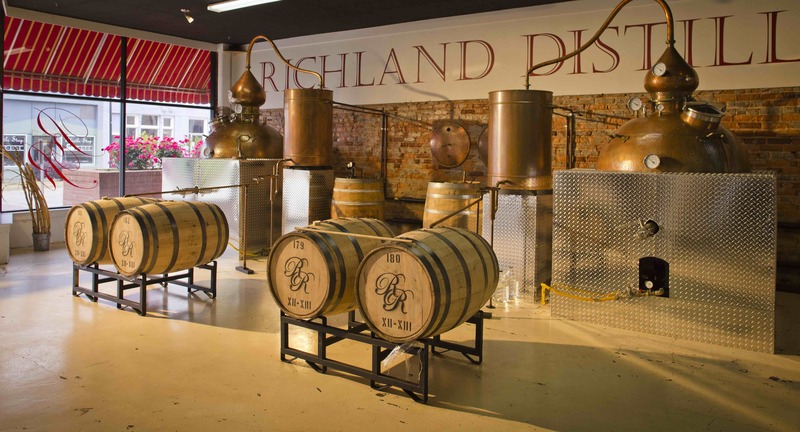 The only ingredients in Richland Rum are pure sugar cane syrup and spring water directly from the Georgia aquifer at our farm, or rather, Estate in rum speak. We share everything openly about our process, except the yeast.” - Karin Vonk’s impassioned declaration defines the ethic of quality that runs through every stage of making rum at the Richland distillery. Sugarcane - Richland Rum Distillery uses estate grown sugarcane to make their rum. In years when the Vennebroeck Estate’s crop is unable to meet the distillery’s demand, they rely on an ever-expanding number of local (contract) growers. 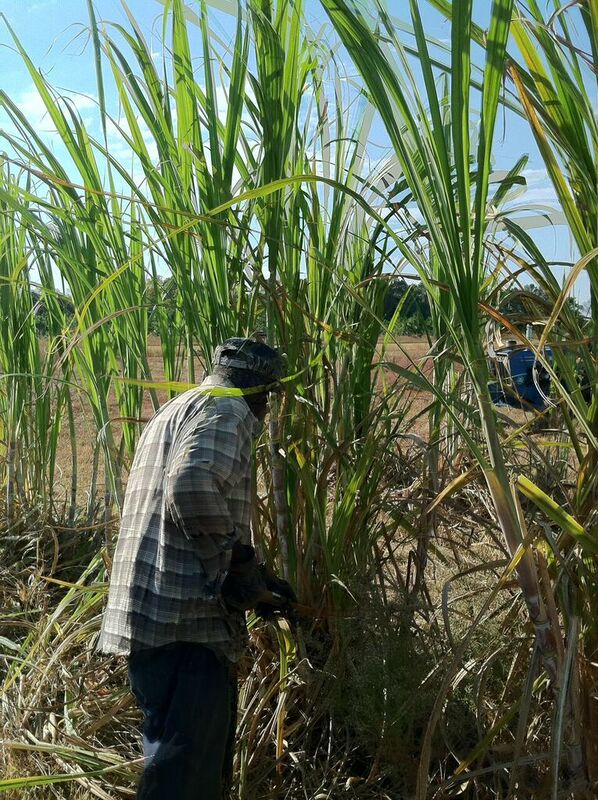 The balance between grown and acquired cane varies from 100% estate-grown to only 50% in some years. Most of the cane is crushed and reduced to syrup on-premise at Vennebroeck Estate and at the Distillery, supplemented by a local farmer’s steam evaporator who custom processes the dark, sweet syrup. Only occasionally are small quantities of qualified syrup purchased from local farmers who turn syrup cooking in old cast iron pots into a local traditional Autumn event. 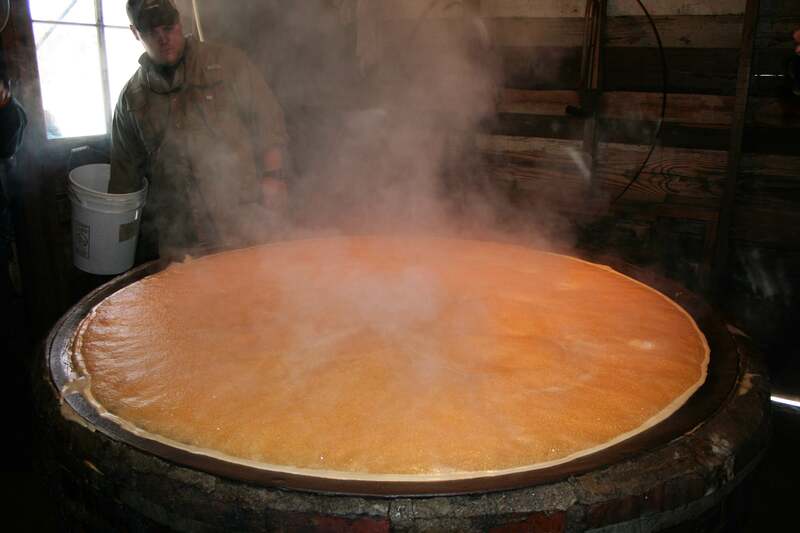 Fermentation - The syrup is used for fermentation (and sold as Almost Rum) after diluting with water to lower its sugar concentration into a fermentable range. Employing a proprietary yeast, the diluted cane syrup is fermented slowly in open containers for 5 to 6 days, usually to 11%-12% ABV. Eric cautions; “that ABV values are not our primary objective. 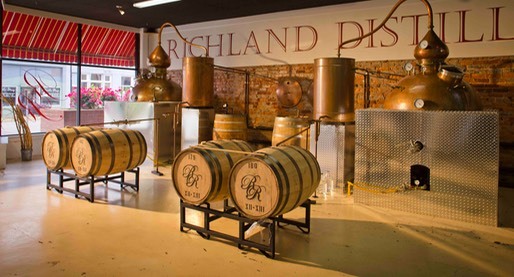 We look for a full conversion of fermentable sugars and an optimal congener profile.” The only secret Richland’s proprietors wouldn’t reveal to Rum Gallery is the exact strain of yeast used. Fair enough. Stills - Richland employs two beautiful all-copper, gas-fired Pot Stills of 1,000 Liter capacity each, hand built in Portugal. The stills are ‘played’ separately every day, meaning their raw spirit output is not blended. Rather, the hearts of the virgin rum are sent directly into the aging barrel at full strength; between 118 and 125 Proof. 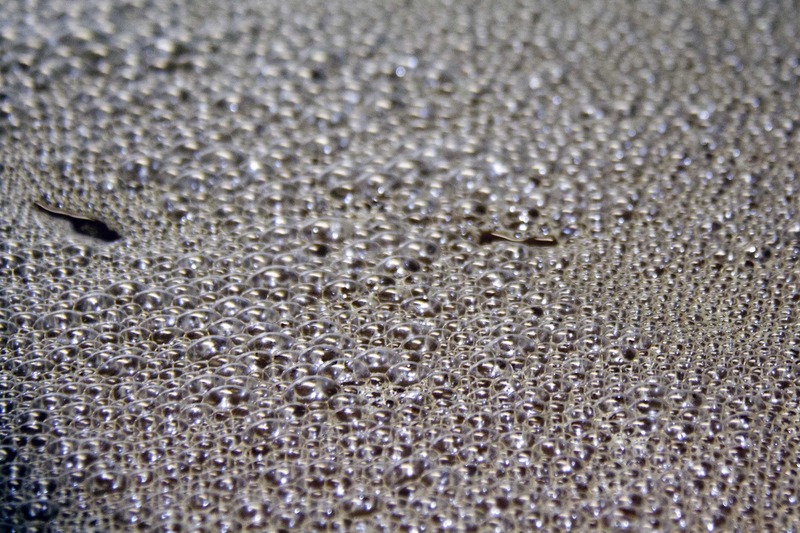 The heads and tails are re-distilled after mixing them in with the next day’s wash. Heads and tails are removed monthly to avoid any build-up of undesirable congeners. Mr. Vonk adds: "In short, our Rum is distilled once, in the sense that we do not do ‘stripping runs’ or ‘spirits runs’, while, in reality, a small portion of it – the heads and tails – are re-distilled." Aging and Barrels - According to Eric Vonk, the rum is aged for 18-24 months before it is even ‘eligible’ for bottling. 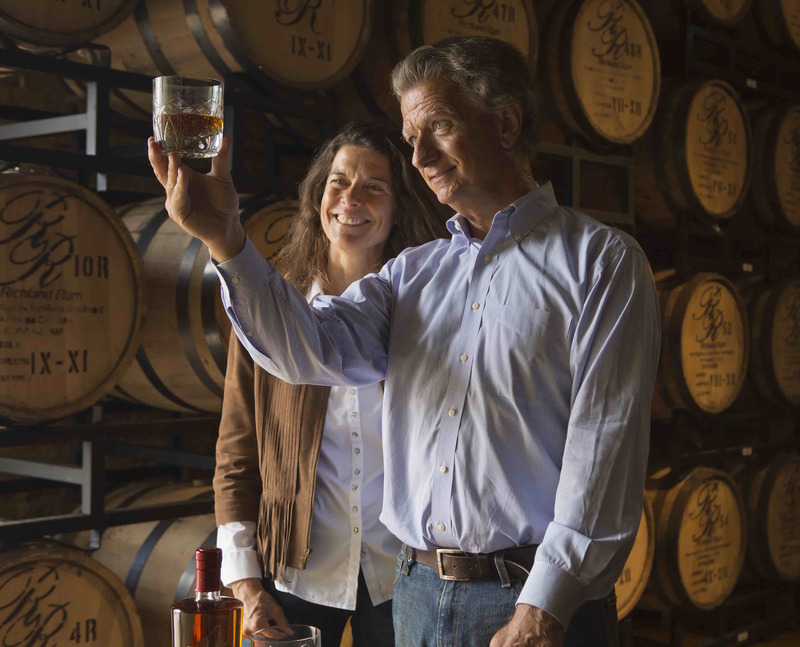 The 53-gallon aging casks are made in Kentucky from naturally dried White American Oak grown in Wisconsin, and have a medium toast, including the heads. “We only use Virgin barrels and we never re-use our barrels. Currently, our used barrels go to Terrapin Beer in Athens, GA, who are aging an IPA in our barrels. When they are returned by Terrapin, we use the barrels as POS items in liquor stores and bars and restaurants." At the time of this review the Richland Distillery was planning to implement a ‘Proprietor’s Certification of Authenticity’ and a ‘Pedigree Tracer’ on each bottle of rum. Each bottle will be numbered in sequence and reveal the number of the barrel it was drawn from. A ‘Barrel Pedigree’ tab on Richland’s website will allow viewers to access to the distillery’s records, and the entire development of the barrel from which any particular bottle came from can be traced. 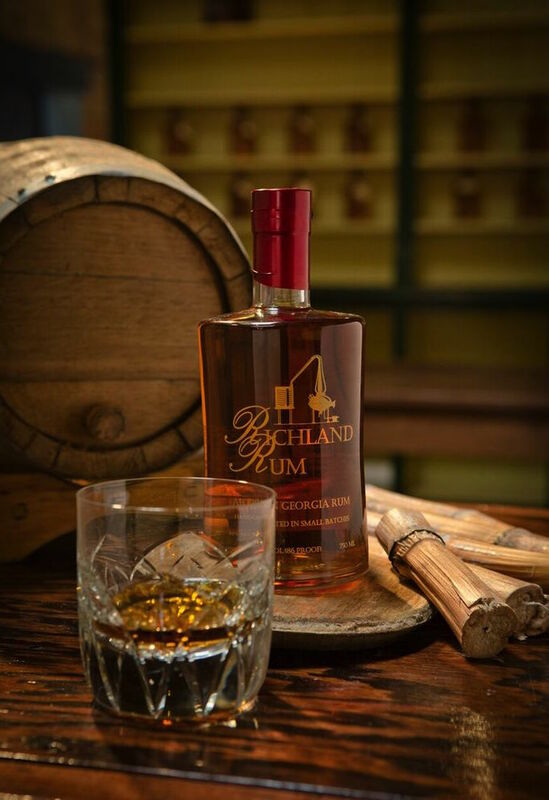 If ever there was an American Rum that challenges Cognac for flavor, it is Richland Rum. It exhibits quality in spades, has all the pot still authenticity and fruit-of-the-Earth sincerity you could ask for, and tastes dignified yet not overlty refined. Thank you Richland for producing a uniquely true rum. We need more like this. 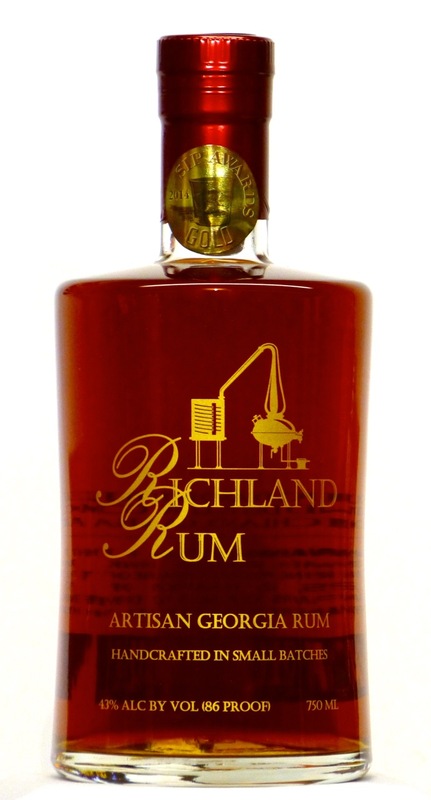 There are precious few rums produced in the same method as Richland rum. For example, Barbados’ St. Nicholas Abbey distills their white rum from fermented syrup rendered down from local Bajan sugarcane, but their beautiful little still “Annabelle” employs both a pot and column. Guatemala-based Zacapa and Botran distill their rums from fermented sugarcane syrup, but the distillery employs large column stills, and the former adds substantial amounts of sugar to the rum. 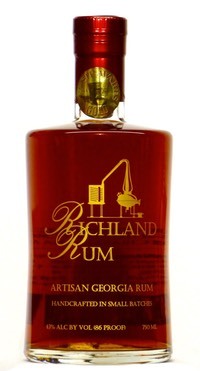 To my knowledge, Richland is the only commercially available rum that is made in a single-pass and pot-distilled from sugarcane syrup. 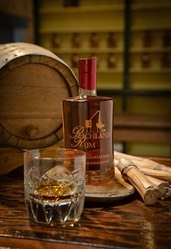 In my opinion, it is America’s best aged rum, regardless of still type or the source of the fermented wash. Reviewed: May 2015 at the Rum Gallery, USA.